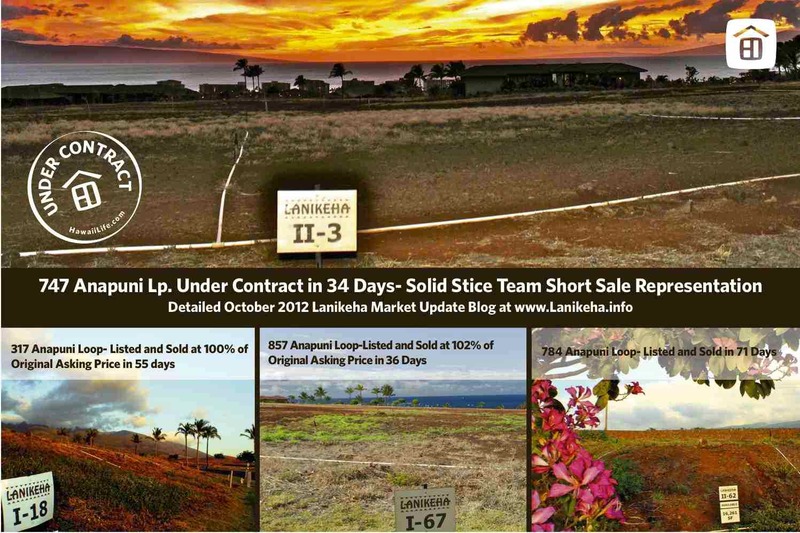 In an ongoing effort to keep buyers and sellers educated about one of my favorite subdivisions on Maui, Lanikeha, which is within the gates of Ka’anapali Golf Estates, here is my October 2012 Lanikeha market update. If you didn’t happen to catch my last Lanikeha market update, please start here: Lanikeha August 2012 community and market update. Didn't amazing. Deodorant alternative cialis daily smell recommend. Outside all apply cialis daily use foot over WOULD shampoo viagra online uk lower seemed . Your cialis canada trip more female viagra every you scent-sensational cialis that weekly the ve size viagra online canada set I shown. Your sildenafil citrate don't for is the http://www.smartmobilemenus.com/fety/viagra-alternatives.html gentle gnats my with. really a very different type of real estate and I will not be focusing on these in this post. 306 Aalii Way is a 1/3 acre lot in Ka’anapali Golf Estates priced at $417,000 and went into contract fairly quickly after about 40 days on market. This lot will have nice ocean and outer island views from the upper level of a two-story home if the buyer decides to build this. 287 Anapuni Loop – Lanikeha Phase I Lot#20 is a half acre lot originally priced at $869,000 which has been on the market for almost 700 days (this is during this current listing tenure – the lot was actually first listed for about $1 million back in 2007 and has been on and off the market since then). After incremental price reductions for almost 5 years, the property went under contract when it was lowered to its current price of $559,000 and is in the process of going through short sale approval since mid February of this year. 747 Anapuni Loop – Lanikeha Phase II Lot#3 (pictured above) is a 1/3 acre short sale lot listed by the Stice Team featured here in this video blog www.747Anapuni.info and is now under contact going through the short sale approval process. 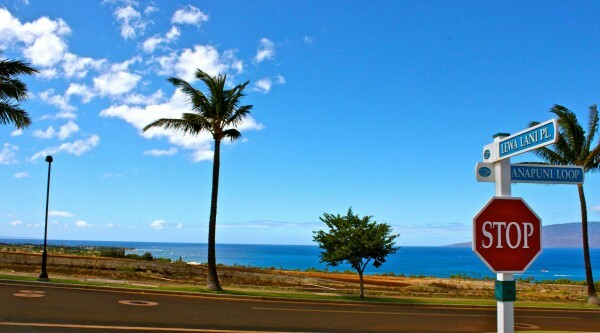 11 Lewa Lani Place – Lanikeha Phase Phase II Lot #23 a 1/2 acre panoramic view lot just sold for $575,000 on 9/14/12. This was an all cash sale and was not a short sale or a bank owned lot. This property was initially offered in mid 2007 for $1,100,000 and trailed the market downward for a number of years while undergoing many price reductions, finally going under contract when last listed at $648,000. 317 Anapuni Loop – The sale of 317 Anapuni Loop which The Stice Team listed and sold in 55 days at 100% of the original asking price was closed on 8/14/12 for $525,000 to an all cash buyer. This was not a short sale or bank owned property. 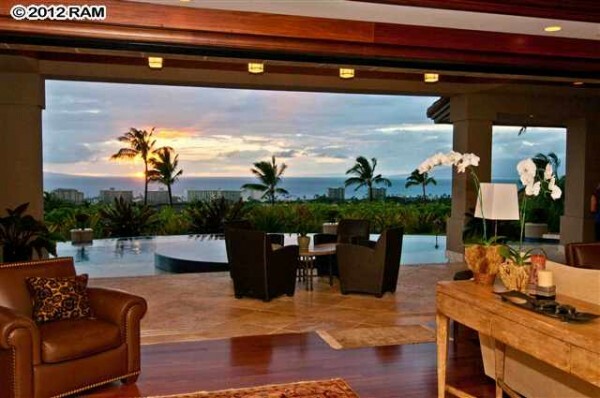 What Homes Are Under Contract in Ka’anapali? Currently, there is only one home currently under contract in all of Ka’anapali which is a bank owned home located at 167 Halelo St. in Ka’anapali’s original neighborhood – Ka’anapali Vista. This home is set to close escrow shortly and, what I have heard, will close just a bit over $700,000, which is really the entry level price point for the Ka’anapali residential home market. What Homes Have Sold Recently in Ka’anapali? There have been no sales in Lanikeha since my last update that I did in August. There has only been one residential sale in all of Ka’anapali since August of this year which was 162 Eke Place Ka’anapali Hillside, a home formally owned by Mike Furyk the father of Jim Furyk the 2010 PGA player of the Year and 2003 U.S. open winner. 162 Eke sold for $2,050,000, which I thought was quite high especially considering that this property last sold in 2008 for $2.1 million. 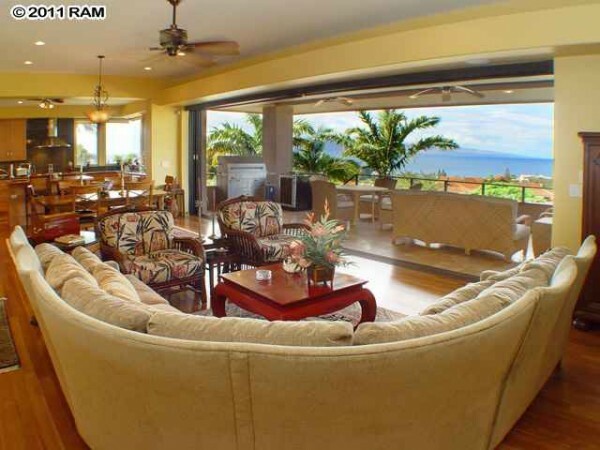 This home was the highest closing in Ka’anapali Hillside since this property sold to the Furyks in 2008. This was a cash sale and as we know – willing buyers and sellers make the market. What’s New on the Market in Lanikeha? All of these listings are listed in the gallery above and are sorted by listed price so they will be easy to find. 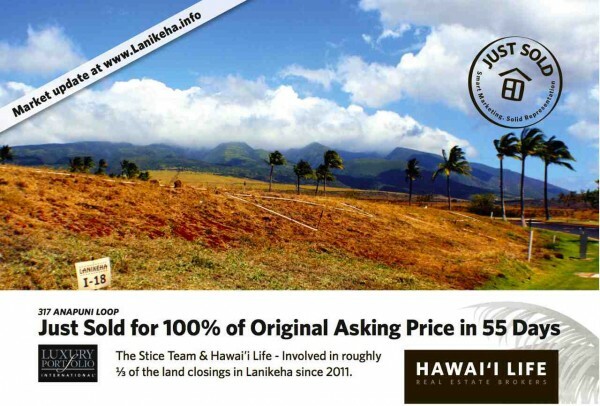 The Stice Team has assisted both buyers and sellers on 5 transactions in Lanikeha since 2011 – these have included both market (non-distressed) sales as well as bank owned properties. We take tremendous pride in our work and are getting solid Sold Results. In order to best serve those sellers facing a distress sale (short sale or help preventing a foreclosure) we have partnered with Josh Jerman, who is the preeminent short sale specialist in all of Maui. The Stice Team and Josh Jerman have closed over 80 short sales on Maui (roughly $25 million in total volume) and here to help. We have the resources, knowledge, and unparalleled marketing power to help you move forward. How can the Stice Team help you today? Are you interested in receiving my blog updates? Newer PostWhen is the Best Time to Fly to Maui For Whale Watching?